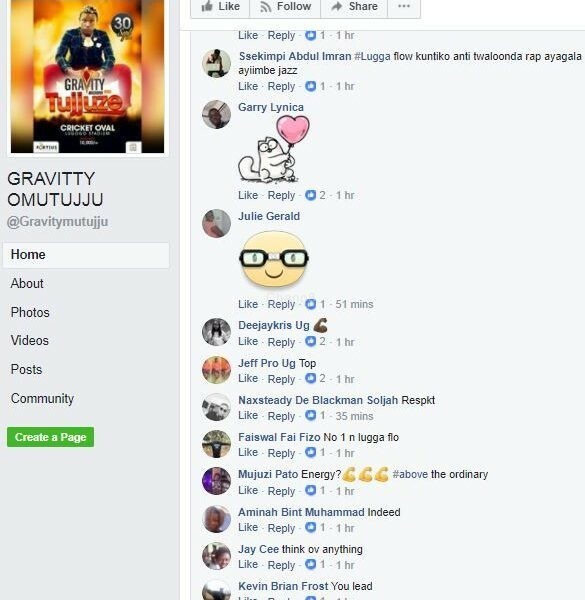 Self proclaimed Luganda Flow King Gravity Omutujju defied the odds last Friday the 30th of September after his long announced Mujje Tujjuze Cricket Oval concert pulled a pretty impressive and encouraging crowd at what we call the ‘most feared’ venues to hold concerts by Ugandan artistes. 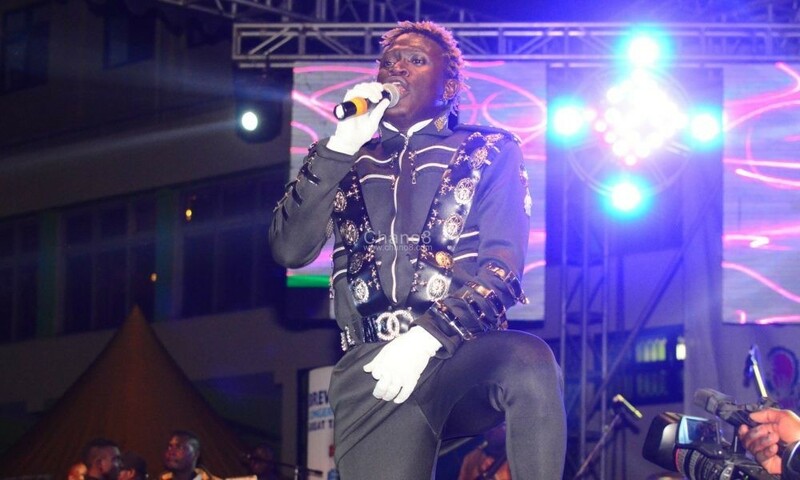 The rapper who took to the stage at a few minutes to 11 PM could not believe that that was his crowd but the fact is, fans came to support him. 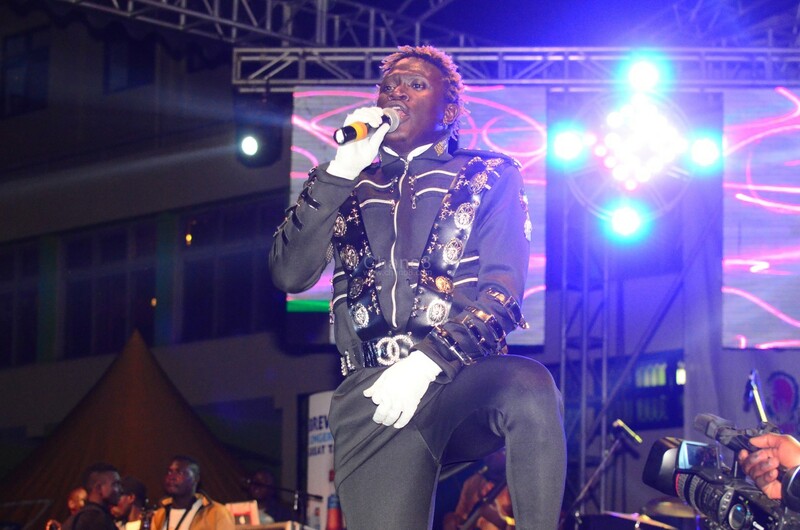 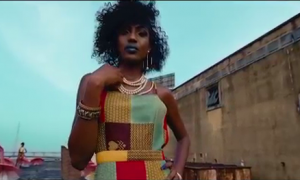 He put up a spectacular performance singing most of his songs like ‘Walumbe Zaaya’, ‘Winner’, ‘Malagajja’, ‘Broken English’, ‘Money’, ‘Bijanjalo’, ‘Omusomesa’ and the recent ‘Nfanana Zuena’ among many others. 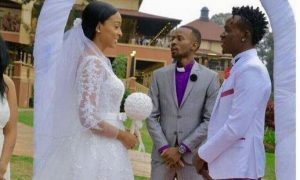 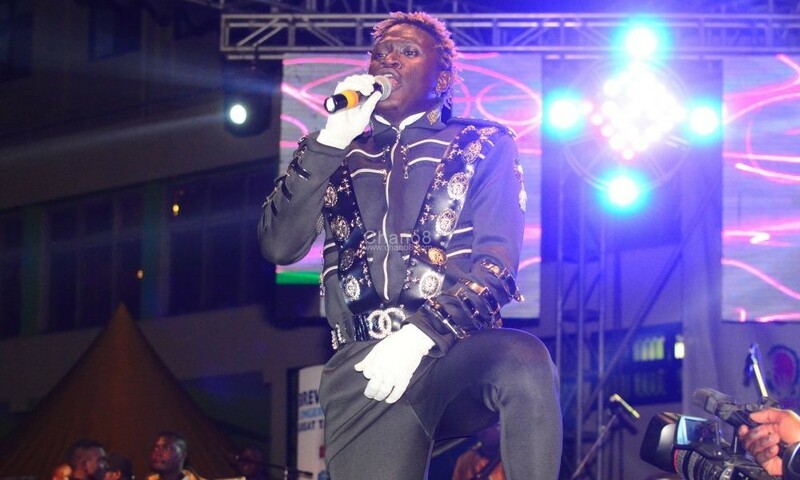 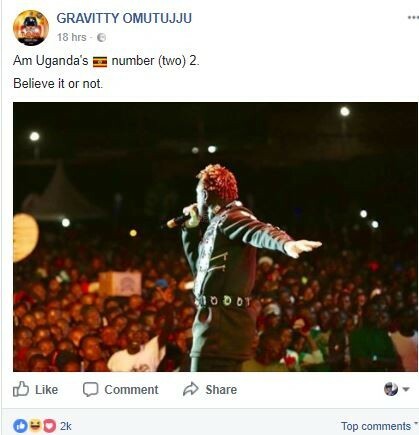 With an expectation of having a good reception from the fans, it was rather the contrary as Facebook users bashed him saying that he can’t be Uganda’s number two. 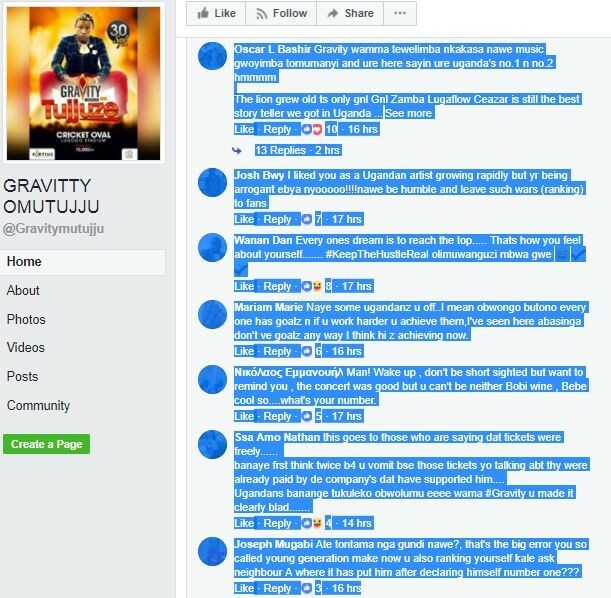 One of the Facebook users identified as Makata assured Gravity how he should think of calling himself number 2 when the big 3 Bobi Wine, Bebe Cool and Chameleone are may be gone. 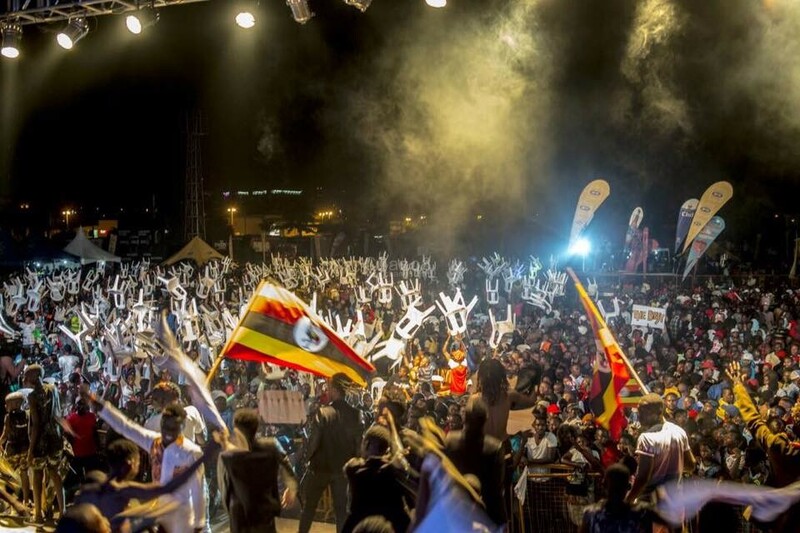 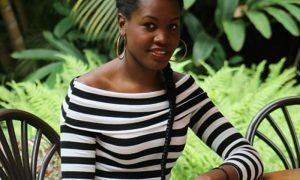 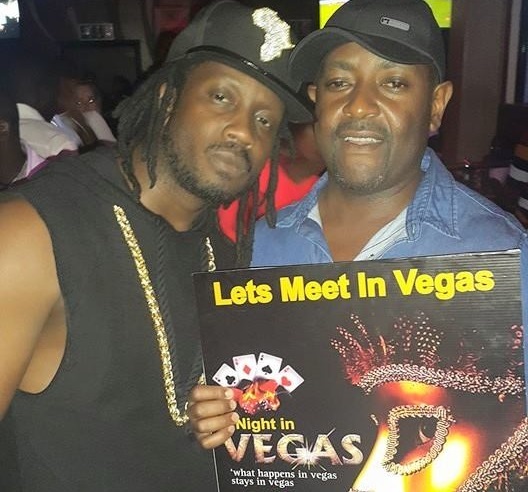 “Get another number …no one calls themselves number 1,2 or 3 and survives drowning in Uganda’s music sector …not until the 3masketeers will be no more ……reference is radio and weasel” Makata wrote. 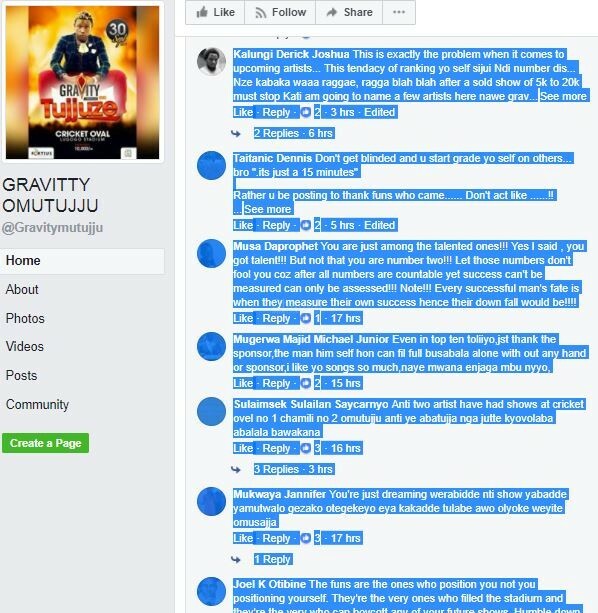 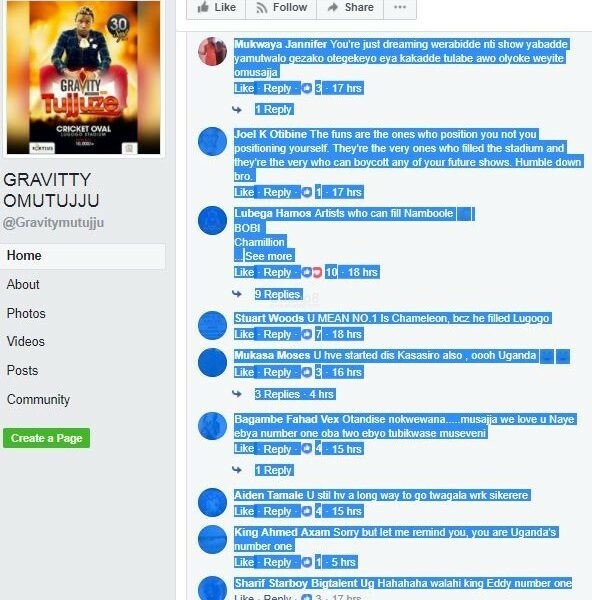 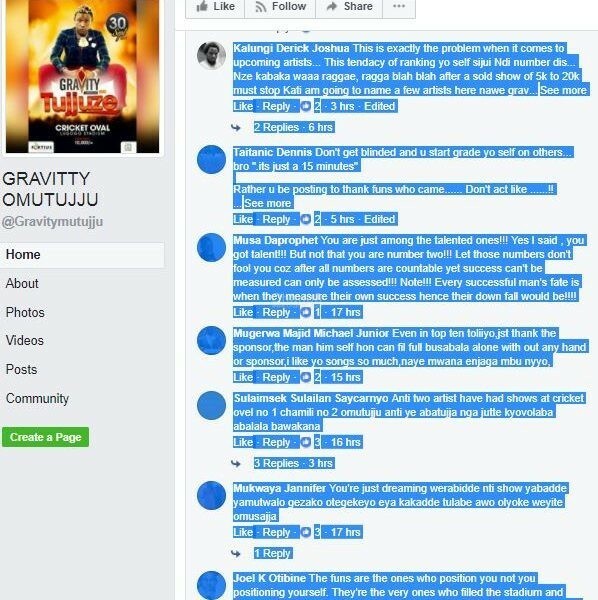 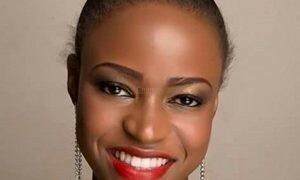 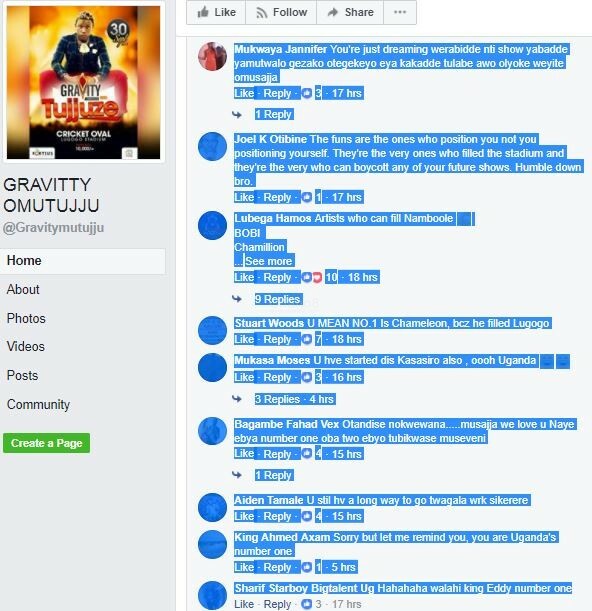 Apart from Makata, many others were not happy with Gravity’s post going by how their comments read. 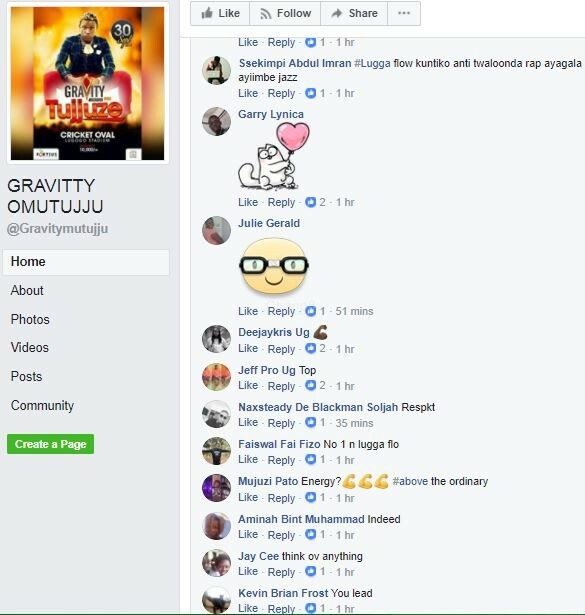 We have the screen shots below.